Thu 15 Nov 2018 7:30 – 8:50 p.m. Combining dance, theater, spoken text, and video, Red is a striking documentary performance that takes its point of departure from the Cultural Revolution’s canonized ballet, The Red Detachment of Women. Red revisits this iconic ballet through memory, movement, and anecdotal material from the dancers. Join us as Wen Hui, a pioneer of contemporary dance in China, and her Beijing-based Living Dance Studio premiere this stunning new work in New York. The all-female, multi-generational cast of four bring their personal relations to the revolutionary ballet to the fore, Red then becoming a dynamic container for the exploration of history and ideology. 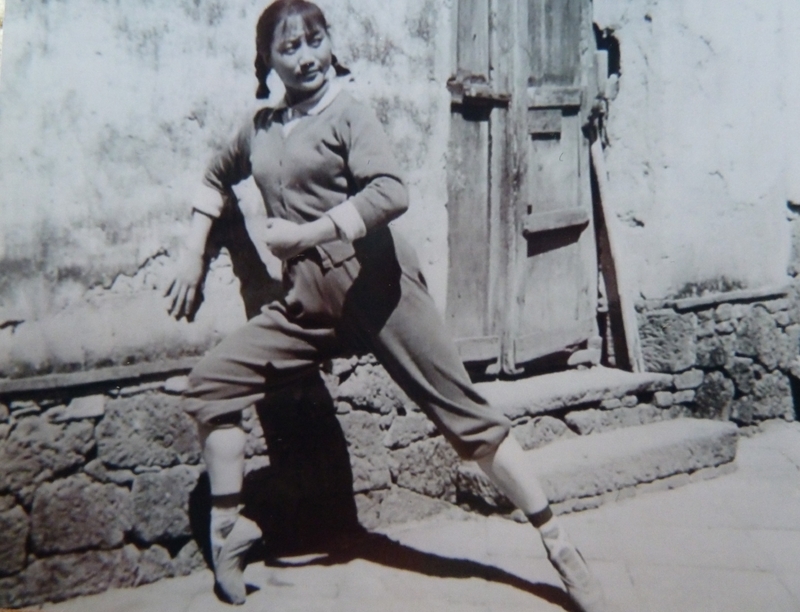 The “grandmother” of the company, Liu Zhuying, danced in original performances of The Red Detachment of Women. The younger Wen Hui looked up to Liu, when in the early 1970s, she was a young student at Yunnan Art School dreaming of being cast in the ballet. Li Xinmin is a generation younger than Wen and comes to Red from her unorthodox journey, from a rural mountainous town to becoming the housekeeper of the Living Dance Studio and then an unlikely segue to joining the dance company. Li Yuyao is the youngest in the cast, and at age 26 did not live through the Cultural Revolution, but resonates with the similarities between the main character and her own story, both coming from a rural village. Join us for a pre-performance lecture by Zhuang Jiayun, the playwright and dramaturg in production of Red, on Thursday, November 15 and Friday, November 16 from 6:30 – 7 p.m. and a special pre-performance panel discussion that explores the history and influence of the revolutionary model theatrical works during the Cultural Revolution on Saturday, November 17 from 4 – 6:30 p.m. Each performance is followed by a Q & A session with the artists. Thursday, November 15, 7:30 pm followed by an opening night reception. No user commented in " Red: A dance theater work by Living Dance Studio "